UNITED NATIONS, August 24 -- Following the death in Tanzania of the nephew of Sri Lanka president Mahinda Rajapaksa, Shyamlal Rajapaksa, who served as a prosecutor for the UN International Criminal Tribunal for Rwanda, allegations have been made in Sri Lanka that the UN is involved in a cover-up of the death. In New York on August 24, Inner City Press Michele Montas, the Spokesperson for Secretary General Ban Ki-moon, to respond to the allegations, including about UN insurance coverage. Ms. Montas answered that "the preliminary finding.. is that he has been murdered." Video here, from Minute 10:03. This is more than a little strange. In Sri Lanka, "outgoing Foreign Secretary Palitha Kohona told The Sunday Times they were awaiting a full report from Tanzania... He said the accountability is clearly with the UN, whether the death was caused by natural causes or otherwise since Mr. Rajapaksa was working for the world body. He also said Mr. Rajapaksa was entitled to full insurance compensation irrespective on how the death occurred." Inner City Press asked Ms. Montas if the UN's payment of insurance would be impacted by the cause of death, which some press reports ascribe to a drug overdose. Ms. Montas called insurance a "hypothetical question." But "Lalitha Rajapaksa, mother of Shyamlal, said it was difficult to accept the UN version that her son died owing to natural causes. She said she suspected that there was more to it... 'It was known that my son was in possession of a damning report that was to shed a lot of light on the Rwandan genocide some 15 years ago. 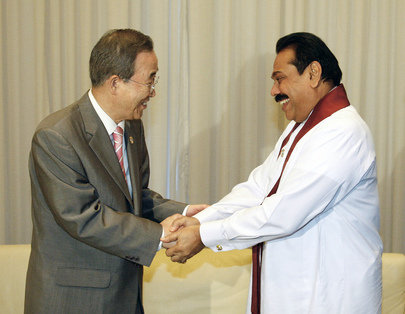 He had even made this known to his UN bosses last month,' Ms. Rajapaksa said. 'Shyamlal had been on a five-year fact-finding mission regarding the massacres in Rwanda, a task from which several others opted out because of the dangers involved. 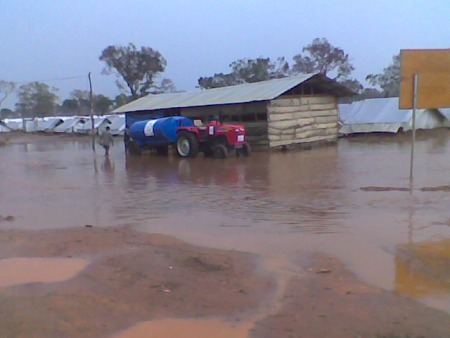 I suspect UN officials are trying to cover up something either to dodge the insurance payments or simply to save face in the international community,' she said. Ms. Rajapaksa said the truth could be found out if the investigators were able to retrieve the bombshell report that her son had." As one wag at the UN put it, the cousin of the president of one regime accused of genocide had discovered some smoking gun about another genocide? Watch this site. Footnotes: Paikiasothy Saravanamuttu, whose Centre for Policy Alternatives has recently publicized a death threat he received citing CPA's advocacy around Sri Lanka's re-application for favorable GPS Plus tariff treatment in Europe, is now scheduled to give a Press briefing in UN headquarters on August 25 at 3 p.m. in the UNCA Club, on topics including the conditions in the internment camps. Also, UNCA has asked that its extension of the deadline until September 21, 2009 for submission for its journalism awarded, described here, be announced. Consider it done. UNITED NATIONS, August 23 -- A Sri Lankan academic and human rights activist faces death threats for allegedly providing information about the situation in Sri Lanka which might force the European Union not to continue its tariff free treatment of Sri Lankan textiles under the so called GSP Plus program. 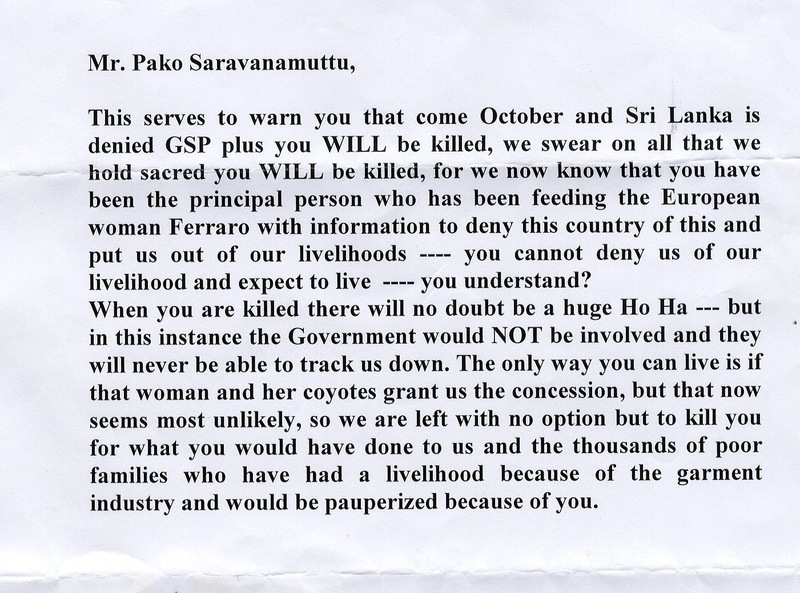 Paikiasothy Saravanamuttu of the Centre for Policy Alternatives received the death threat, reproduced below, last week. 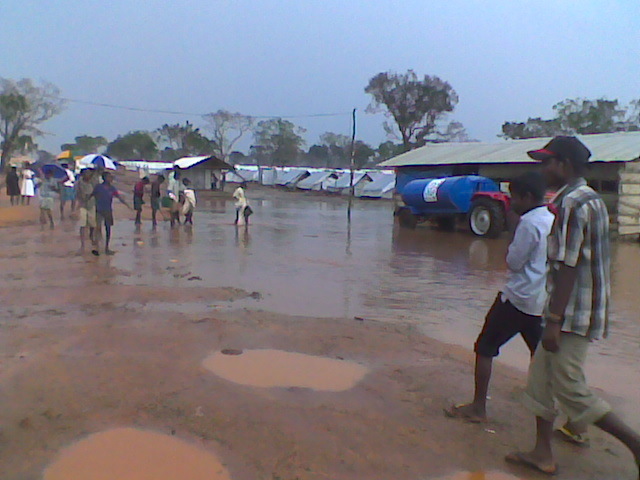 The UN Security Council, which despite the UK's claim to have had the votes to put Sri Lanka on the agenda didn't, has not spoken on the death threat, nor on the worsening conditions in the internment camps for Tamils which the UN is funding. On April 30 of this year, Inner City Press asked UK Ambassador to the UN John Sawers about using the GSP Plus renewal as some leverage for better treatment of Tamils in Sri Lanka. Sawers answered, "We're not in the job of penalizing the government of Sri Lanka." Click here for that story. In May, Inner City Press asked the Netherlands' deputy permanent representative to the UN Piet de Klerk about Sri Lanka and the GSP Plus program. DPR de Klerk said he didn't think that human rights were "applicable to this sort of situation." Click here for that story. Now, despite these deaf ears, Paikiasothy Saravanamuttu has received a death threat about the mere possibility of GSP Plus treatment being suspended. We hope to have more on this. And now, despite the UN Secretariat's commitment to monitor the country, these have deteriorated to death threats against human rights defenders. What will be done by and at the UN? Watch this site.